Last week I showed you how I recycled an empty Birchbox box into a distressed storage box. This week I wanted to share with you another fun idea using chalkboard paint on the box! Again, this is a storage box but this one is more than pretty - it's practical! You can write right on the box exactly what's in it! Super easy to see what you have if inside! I've never used chalkboard paint before but I think I'm in love! I want to paint everything in chalkboard paint now. But you do need a lot of time for this project since the paint has to cure for 24 hours & you have to wait an hour between coats. For such a small project, that's a lot of time! 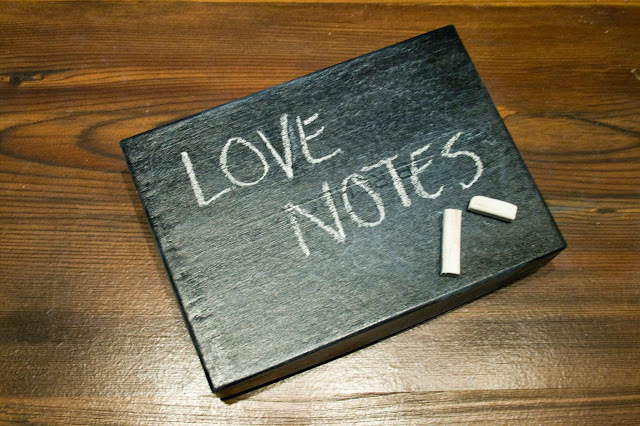 After it's cured for 24 hours, find a piece of chalk & condition your chalkboard surface by rubbing the chalk all over the chalkboard surface. Wipe it off & you're good to go! So neat right? Spoilers - next week's Make it Monday uses chalkboard paint too!! This matches my bedroom decor much better than the white & teal box from last week. I still don't know where to put it! 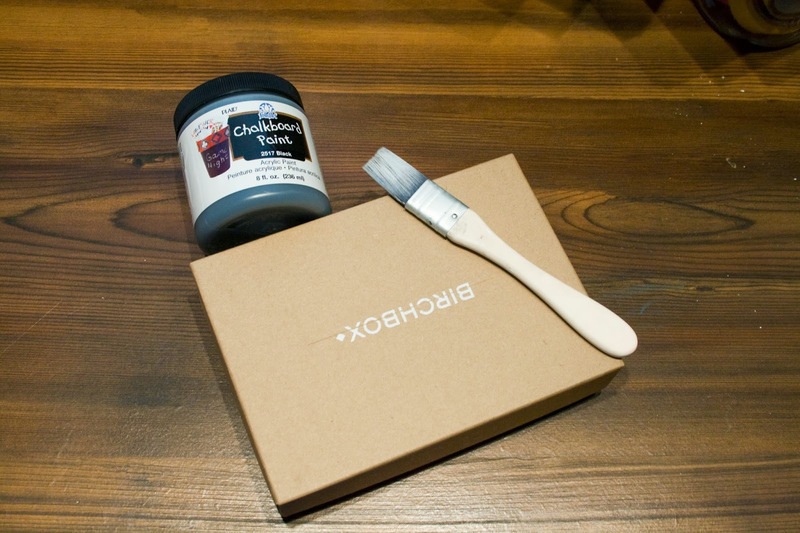 What are you going to cover in chalkboard paint next? So cute! I bought an old desk at a garage sale for $5 and I plan to paint the top with chalkboard paint... this makes me really excited.